The recent news that Newcastle United’s Swedish young guns Ole Söderberg and Samuel Adjei will be allowed to leave the club for free this summer has highlighted something that many young Swedish footballers may never fully consider: is it in their best interests to move to England so young? Adjei arrived on Tyneside in February 2009, weeks after turning 17 and already with a reputation as a potential superstar. Capped at Under-16 level for Sweden, Adjei had been discovered by his local side Waggeryds IK when aged 12. The Waggeryd chairman of the board, Michael Anderberg, described Adjei as having “always been an extraordinary talent”, and the player soon moved on to Jönköpings Södra. The Magpies edged out Portuguese giants Porto to sign the speedy forward who quickly made an impression in his new surroundings by playing in a first team friendly against Huddersfield Town in August 2009. Now, three years after signing, it appears that Adjei will be returning to Sweden after a nightmare time with injury and failing to progress during the periods when he has been fit. The early hype surrounding him has definitely faded and he will join a club having to rebuild his reputation; something which may, in the long-term, be of benefit to the player if he is to succeed in the game. The case of Ole Söderberg is more perplexing. 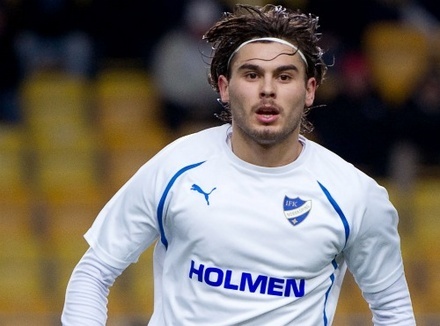 Capped at Under-19 and Under-21 level for Sweden, Söderberg signed for Newcastle in January 2008 from BK Hacken and earned rave reviews for his performances in the reserve side. During the 2010/11 Premier League season he was promoted to the first team squad to provide cover on the bench and then made his senior debut playing on loan for Conference National side Darlington in October 2011. By the time Söderberg had made his debut, however, Newcastle had already shown that they had little faith in his talent after signing Rob Elliot from Charlton Athletic; the 25-year-old moving to Tyneside to provide competition to Steve Harper as back-up to Tim Krul while Fraser Forster was loaned out to Celtic. A further loan spell at League One side Chesterfield should have cemented his reputation as an emerging goalkeeper, in much the same way as Forster’s spell playing on loan at that level had. Yet Söderberg will be shown the St James’ Park exit and will have a trial at Leicester City in the hope of carving out a career in England. These are two examples but are they exceptions? One of the most exciting Swedish youngsters had to leave Manchester City in search of regular football. City announced at the start of the 2011/12 campaign that they would no longer field a team in the Reserve League, instead playing friendly matches under the banner of an Elite Development Squad, leaving the long path to the first team blocked for John Guidetti. 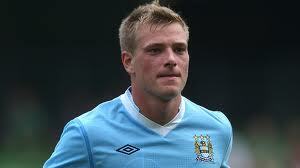 With competitive football a must for his development, Guidetti moved to the Dutch club Feyenoord on loan for the season and has been a regular scorer ever since. Yet will that be enough to force a place in the City squad next season? Feyenoord fans believe he should remain in Rotterdam – a petition is currently collecting signatures in the hope of convincing the super Swede to stay – instead of returning to Manchester and a place behind Balotelli, Džeko, Agüero and whichever superstar signings are made this summer. Tottenham Hotspur took Oscar Jansson from Karlslunds IF in 2007 but the ‘keeper has been nowhere near the first team squad in London, despite some impressive displays while on loan at Exeter City in 2009. Since then, Jansson has been on loan at Northampton Town and Bradford City, but stayed at neither club for long. While still only 21-years-old, Jansson needs further loan spells to develop. Seb Larsson is one Swede who arrived in England at a young age and has established a career in England, but he had to move away from Arsenal in order to do so. A loan spell at Birmingham City in 2006 paved the way for the switch to be made permanent for £1 million six months later, before he moved to Sunderland in 2011. Martin Olsson moved from Högaborgs BK in 2006 to join Blackburn Rovers before progressing through to the senior level for both club and country. These two players are amongst the exceptions. 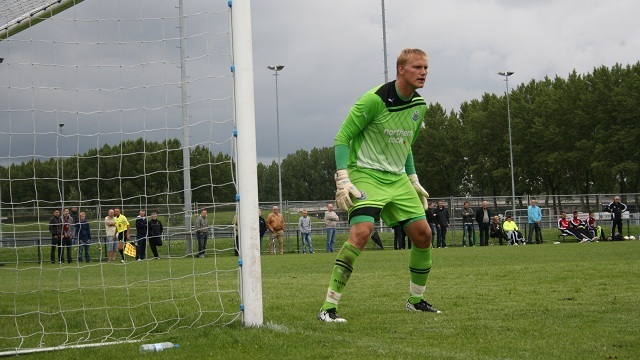 Other promising Swedes have very recently made the trip to England. Kristoffer Olsson joined the Academy at Arsenal, turning down a move to Manchester United in the process, from IFK Norrköping after a series of trials during 2010 and 2011. Linus Wahlquist, also from Norrköping and a year older than Olsson, has recently been on trial at Sunderland. There’s no shortage of English interest in the right Swedish talent. A 16-year-old Swedish midfielder, currently hesitating over signing a contract with a current Allsvenskan team, says that “me and all of my friends want to move to England…we want to move from Sweden because it’s not good here for a youth player”. The last Swedish Under-21 squad had nineteen players named. Of those, only Giudetti, Samuel Armenteros of Dutch side Heracles Almelo, and Rasmus Jönsson play outside of Sweden, and Jönsson had only recently signed for German side VfL Wolfsburg. The rest of the youngsters were all part of a 2011 Allsvenskan squad on a regular basis. During the whole of 2011, 38 different players were capped at Under-21 level with only five of them being based outside of Sweden. So where’s the benefit in moving abroad to, at best, be a part of a reserve side? There’s always the opportunity to progress, but with the money in the English game those who move through the Academy to the first team are often decided by a hair’s width of good fortune. For those players who don’t make it there is always the opportunity to return back to Sweden and where they can hope to become successful, like Astrit Ajdarević who found his career stalling at Liverpool and Leicester City before he returned home in 2010 and has since performed well at Orebro SK and Norrköping. Players who return to Sweden do so at the risk of finding that their peers, who remained at home, have progressed beyond them due to increased exposure to first team football. At worst there’s the fear that haunts every young footballer: they leave the game forever, something which happens to so many footballers in every country each year. The Danish coach Ole Mørk, the Danish Manager of the Year in 1990 and who later took unfancied Herfølge BK to a Superliga title challenge with a team blending youngsters and experienced players who had never been considered stars, currently oversees youth development at BK Frem in his home country. Mørk, who coached Trelleborgs FF in 2001 believes that the best way to develop young talent is to have “players that aren’t moving across the country, or even from one country to another, but are staying close to where they live, to their surroundings and to their friends”. Where there is such a fine line between players making it in the game the onus has to be on enjoying football; fail to enjoy the game and it becomes like a regular office job where work becomes a chore and mundane. The enjoyment comes from playing competitive football, through testing your abilities against the best players; this is something that can’t be achieved by only playing reserve team football. A change in attitude is needed: a club abroad should be the aim when a player has experienced what it is like to play a competitive game in front of Swedish fans. Follow this route and the player may even find themselves in the Under-21 squad and an increasingly more open path to the national team and a first team squad place abroad, as well as helping the Allsvenskan improve their current Uefa coefficient place of number 28. Playing football and having an improved chance of making a career as a professional is surely better than the superior wages that youngsters at an English club receive. The best talent will always be in demand, but sometimes home really is best.